Sorry, but you probably won’t get to read the entire report by special counsel Robert Mueller. You may have seen redactions before. They’re the (frankly annoying) black or white bars covering sensitive information — such as someone’s email or name — in the middle of a sentence, or even an entire paragraph or page. Page V of an August 2001 CIA report. As you can see, everything from a single word to entire sections is whited out. While the public can’t see the hidden information, we can at least try to deduce what kind of information might lie underneath the redactions based on context clues and the length of the portion redacted. With redactions, then, US government agencies can release information they don’t deem too harmful to their work while keeping the sensitive parts secret. It’s not pretty — and sometimes members of the public aren’t satisfied — but it’s the system we have. In order to redact information, though, the government has to cite good, legal reasons to keep that information withheld from the public. Those reasons can range from keeping a spy’s name secret to not divulging sensitive technology the US doesn’t want other countries to know about. 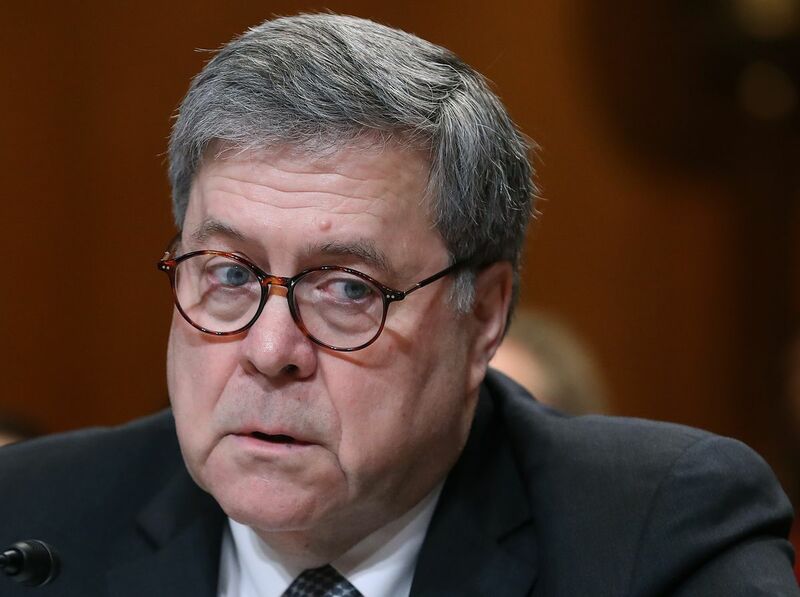 Barr has made clear that the Mueller report will contain some redactions based on four main criteria — setting up a sure fight with Democrats down the line. But for now, let’s take each of the criteria in turn. Mueller used grand juries throughout his probe, helping him issue more than 2,800 subpoenas and create roughly 500 search warrants. Grand juries are secret panels, made up of regular Americans, that are convened to help an investigation move forward. But their most important function is deciding whether someone (or something, like a company) should be charged with a federal crime. In fact, no one can receive a federal indictment without a grand jury, mainly to ensure that the government has acted in good faith and isn’t just considering someone a criminal without just cause. But a part of the Federal Rules of Criminal Procedure, known as Rule 6(e), says that “matters” before grand juries should remain secret. And it makes sense why. First, the person under investigation shouldn’t have his or her name in the press, especially if the grand jury finds nothing criminal. That kind of attention could lead some to view the person as a criminal even if no actual charges end up being filed. Second, the grand jurors’ names and the questions they ask during the process should be kept confidential for fear of retaliation by those close to the suspect. But there are a few exceptions of grand jury information that can be made public. Wright, who is also a partner at K&L Gates, tells me that “the documents and witnesses that actually went in there aren’t immunized by going to the grand jury. If a congressional committee wanted to go ask a witness — or even subpoena a witness — that appeared before a grand jury, that would be permissible to get the information.” But Congress couldn’t ask the witness what the grand jury talked about — that information should remain confidential. So when it comes to the Mueller report, it’s very likely the parts about what happened in the grand jury will be redacted. But we could potentially learn who appeared before the grand jury and any documents the panel saw. Attorney General William Barr testifies before the Senate Appropriations Committee in the Dirksen Senate Office Building on April 10, 2019, in Washington, DC. This is the James Bond-y part. Federal agents looked deep into any possible collusion between the Trump campaign and Russia, which Barr said in March didn’t happen based on his reading of Mueller’s report. But for Mueller to even make such a determination, it’s highly likely the US government had to use sensitive spying methods — like, say, an undercover agent or top-secret surveillance technology — to investigate. Naturally, the US wants to keep that kind of stuff, known as “sources and methods,” under wraps so that spies keep their cover and other governments don’t figure out how America keeps tabs on them. “If we publish the wrong stuff, people could get killed,” Wright said. These kinds of redactions will surely be the least controversial ones in Mueller’s document, as both Republicans and Democrats in Congress are acutely aware of these risks and are unlikely to push back too hard on them. In other words, some redactions in the report will exist mainly to allow other related cases to continue unimpeded. “If you have an ongoing probe, it could potentially be compromised if information about it came to light,” said Wright. Some of those may include the case against Roger Stone, a top former Trump adviser, for his alleged ties to WikiLeaks, and witness-tampering charges against a Russian oligarch with close ties to former Trump campaign chair Paul Manafort. Barr, in a sense, may be trying to help those cases by keeping information related to them secret for now. The Justice Department has long had a policy of not divulging people’s names during an investigation unless they are indicted. Per Barr, that standard practice will be applied to the Mueller report. As Wright noted, someone charged with a crime can defend themselves in a court of law. But someone who participated in a Mueller interview — and who wasn’t charged with a crime — would have to contend with the court of public opinion if their name came out. It’s possible a person who came in for an interview is a “peripheral” player, say the sibling or neighbor of a suspect, who might have relevant information. Releasing their name could unfairly malign them when really they were just trying to help. So Barr plans to redact those names. The names of government officials and serious players in the investigation, though, may still appear unredacted. Will the public ever see the full report? Democrats in the House and Senate have made no secret of their desire to see every word Mueller’s team wrote in their final report. Their main argument is that Congress has a right to see the entire document in order to perform their constitutionally mandated oversight duties. “We’ve been doing everything we could for the last weeks and weeks to try and reach an accommodation with the attorney general under which we would see the report and the underlying evidence,” Rep. Jerrold Nadler (D-NY), chair of the House Judiciary Committee, told reporters this week. It’s unclear if they’ll ultimately get their wish, though, especially since Barr has the right to redact what he wants within the law and within reason. In addition, Trump could exercise executive privilege to try to keep information related to him in the Mueller report secret. If Democrats disagree with any of this, though, they can issue a subpoena for an unredacted copy. That would likely pit Congress against the administration in a nasty, drawn-out legal fight, and there’s no guarantee if Democrats would win it. Which means a redacted copy — while less than ideal — is probably all most of us will ever get to see. If that makes you [redacted] mad, I get it.